-Are you looking for an exclusive gift to give for the holiday season? -Or are you looking for an original stylish gift to say thanks to your customers? -Do you want to reward your employees for their great achievements? -Or are you looking for an effective premium to support your marketing campaigns? We will be pleased to advise you about the possibilities to put together your own unique gift package, whether or not personalized with your logo or message. Did you know that? Giving wine is on no. 1 when it comes to promotional gifts. Wine is always and anywhere and can be drunk throughout the year. Every wine lover would most like to enjoy a favorite bottle of wine in style. The selected gift sets on this page are just an example of what we can offer. Upon request we can offer you different gift sets with more, or less, bottles. Requests? Please fill in the contact form and we will contact you as soon as possible. WINECHILL, the new design wine cooler stands for quality, functionality and design and is perfect for brand promotions and corporate gifts, as well as for private special events such as weddings and anniversaries. This new design wine cooler is not only stylish but it supplies the user convenience, the wine taste better and is a great gift to give or to receive! The possibilities to customize your gift package are endless! 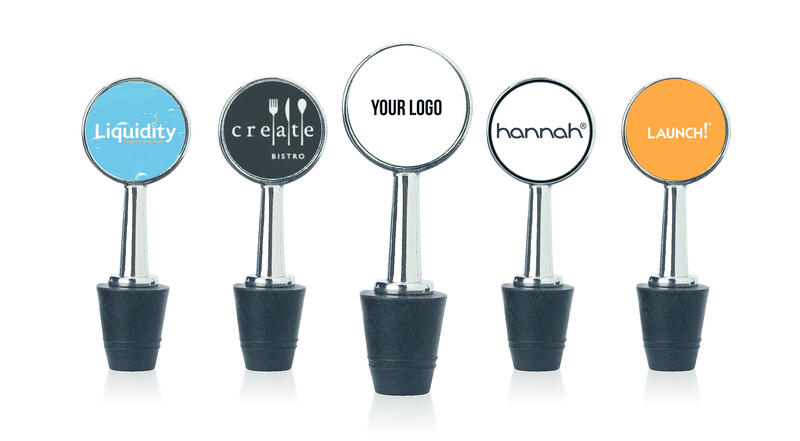 The printing of a wine accessory with your logo is a very suitable tool to promote your business. By personalizing you can increase brand awareness of your company or create a premium even more effective. We only sell must-have wine accessories, however, in consultation we can arrange for you the wine, we maintain good contacts with a number of wine buyers making it also possible to add a bottle of wine to your gift package. Depending on the number and the desired product you will receive an attractive quantity discount on the price. Do you have questions? Or would you like to receive a quotation? Please fill in the contact form and we will contact you as soon as possible.